Sometimes the Little Things Matter Most. The Thirty-First Sunday of Ordinary Time. • Wisdom 11: 22—12: 2. • Psalm 145: 1-2, 8-11, 13-14. • II Thessalonians 1: 11—2: 2. • Psalm 71: 8, 11. 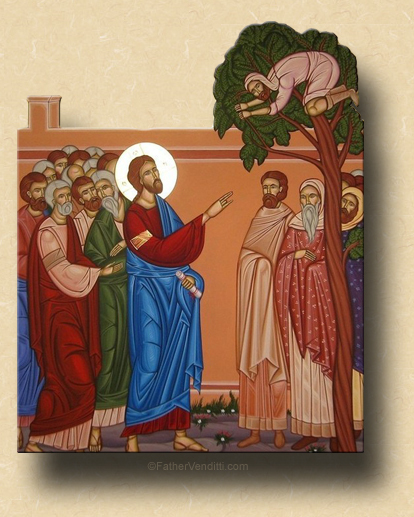 9:17 AM 10/30/2016 — The Churches of the Byzantine Rite have an entire Sunday just before Lent dedicated to this Gospel lesson and named after the man featured in it, Zacchaeus. It’s not observed every year, but only when Easter is particularly late, and it’s observed as an extra Sunday prior to the Triodion, which is a four week pre-Lenten period comparable to the Season of Septuagesima or “Shrovetide” in the extraordinary form of the Roman Rite. This episode of our Lord’s meeting with Zacchaeus occurs just after his meeting with the man born blind, Bartimaeus, sitting along the side of the road to Jericho begging, and our Lord cures him; we’ve made reference to that event not a few times in the last few weeks. Today, he's arrived in the city, and the meeting between our Lord and Zacchaeus is painted very vividly by the intuitive Saint Luke. As in His previous encounter, Jesus is simply passing by, and a large number of people have lined the street to catch a glimpse of him. Zacchaeus would like to get a look at Jesus, too; but he’s at the back of the crowd and can’t see anything because, as the Gospel says, he was a relatively short man. So, to get a better look at Jesus, he climbs up a sycamore tree. One of the Fathers of the Church goes off about the significance of it being a sycamore tree; if you don't mind, I'll skip that bit. But climbing up a tree not only allows him to see Jesus, it allows Jesus to see him. Why our Lord singles him out will always be a mystery; I like to think that Jesus saw both an opportunity to save a soul as well as make a point. He is, after all, God, and certainly could know, simply by looking at Zacchaeus, exactly what kind of man he was. He also knows that, by inviting himself to Zacchaeus’ house, he’s going to be raising some eyebrows. 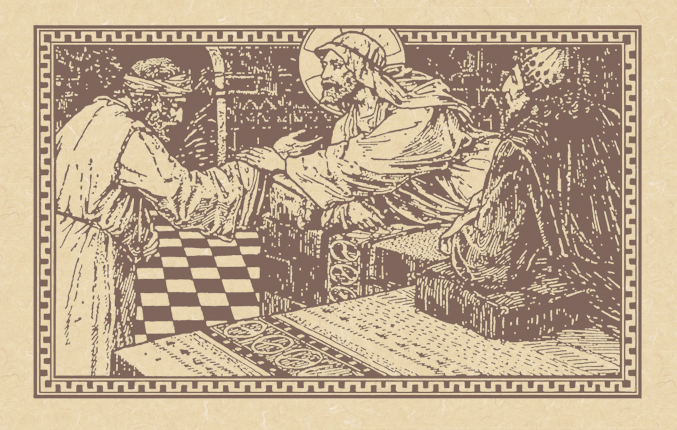 Saint Luke tells us how they all murmured when they saw the two go off together, and whispered to themselves, “He has gone in to lodge … with one who is a sinner” (19: 7 Knox). It’s very easy to hate evil people, especially if we are among their victims. The people in Jericho hated Zacchaeus because he had stolen their money; but, it wasn’t their hatred of him that moved him to give them their money back with interest, it was an act of kindness performed by a stranger. Now, admittedly, that stranger happened to be God, and enjoyed a certain degree of intuition that the good populace of Jericho didn’t have; nevertheless, you don’t have to be God to be kind to people, especially to people whom it may be very popular to hate. Jesus didn’t do all that much for Zacchaeus comparatively speaking: he didn’t give him back his sight, or make him walk when he was crippled, or bring his dead daughter back to life;—things that he had done for others—all he did for Zacchaeus was have a cup of coffee with him in his house. To us, it doesn’t seem like much;—it may not have seemed like much to our Lord—but, to Zacchaeus, it meant everything. It just goes to show that you never can tell how much good you can do by doing the simplest things. With all that we have to worry about day after day, the little things often escape our attention. Perhaps it would be to our advantage to think, now and again, of all those little things that can come between ourselves and Christ, and all the little things we can do to make up for them. 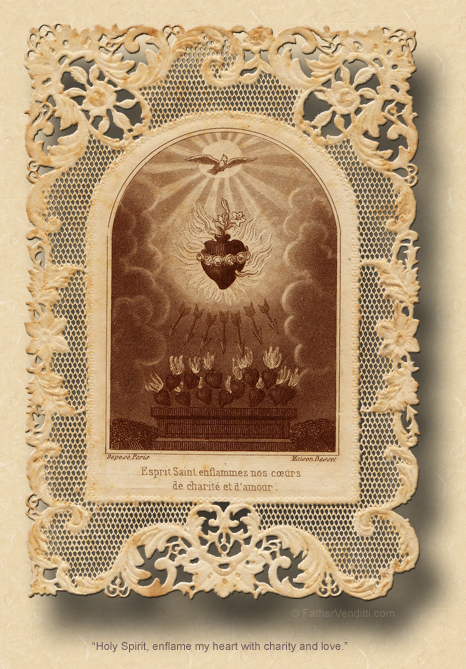 * In the extraordinary form of the Roman Rite, Christ the King is always observed on the last Sunday of October. In the ordinary form, it is the last Sunday of Ordinary Time, this year on November 20th. ** According to legend, Zenobius and Zenobia were put to death by the sword under Emperor Diocletian after being thrown into boiling tar out of which they emerged unharmed. Blessed Fr. Oleksa Zarytsky was born in 1912 in the village of Biche in Lviv. In 1931 he entered the seminary in Lviv, and was ordained for the Ukrainian Catholic Church by Metropolitan Andrei Sheptyts’kyi in 1936. In 1948 he was imprisoned for ten years by the Communists and deported to Karaganda. After his early release in 1957 he was named Apostolic Administrator of Kazakhstan and Siberia, but was shortly thereafter imprisoned again for a three-year sentence. He died as a martyr for the faith on October 30th, 1963, in the Dolynka concentration camp near Karaganda. He was beatified in Ukraine by Pope Saint John Paul II on April 24th, 2001.